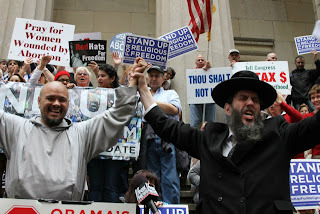 Rabbi Levin's Interview With WPIX Channel 11 NYC | RabbiLevin.com - Fighting for Morality! TEANECK, N.J. (WPIX) Avi Smolen met his boyfriend Justin when they were both camp counselors in Nyack, New York. They fell in love and got engaged last year. The 2 twenty-somethings are gay, but like many straight couples, Smolen and his fiance asked a community newspaper to publish their wedding announcement. "When they decided to actually publish it, I thought this is great. My community recognizes me and the milestone in my life," Smolen told PIX 11 News.